Just 30 metres from the blue-flagged Rethymno Beach, Ilios Beach offers a pool and a snack bar. It features tastefully decorated accommodation with self-catering facilities. Free Wi-Fi is available throughout. Surrounded by olive groves, 40 metres from the beach of Rodakino in Crete, Polyrizos Hotel features a traditional restaurant with Cretan food. Rooms overlook the Libyan Sea or the lush gardens. 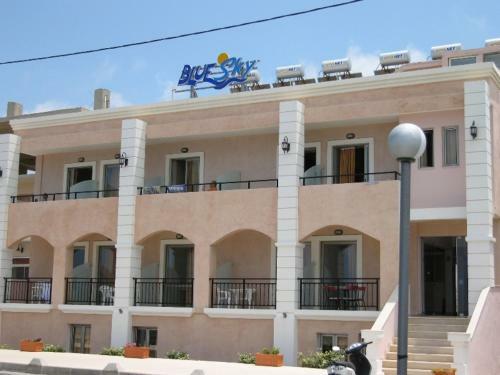 Only 10 metres from Rethymnon beach, Blue Sky Hotel Apartments features an outdoor pool. All apartments have private balconies which overlook the pool or sea. A kitchenette with fridge, kettle and kitchenware is included in each apartment. Located right on the blue-flagged beach of Rethymno, the beachfront Steris Beach Hotel offers an outdoor pool and a furnished sun terrace with unobstructed sea views. Located in the town centre, the Hotel Brascos is a 3-star hotel next door to Rethymno Municipal Gardens and the historical old town. This friendly hotel has 88 guest rooms, all of which have a balcony. Situated 1.2 km from the city centre and the main beach, this Rethymnon hotel offers self-catered accommodation with sea or pool views. It has an outdoor pool with a sun-lounger terrace. Located 80 metres from Perivolia Beach and 2 km from Rethymnon town, this hotel has an outdoor pool, 2 bars and a restaurant. Free WiFi is available in the reception area, while free parking is available on site. 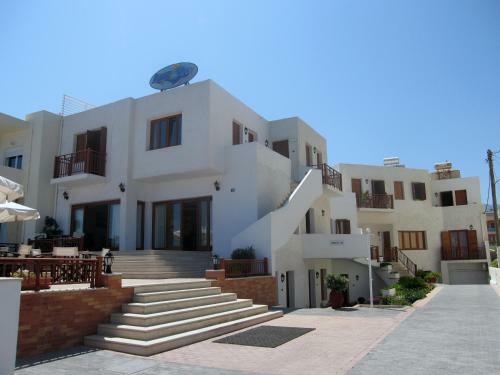 Porto Plakias is just 100 metres away from the long sandy beach of Plakias. 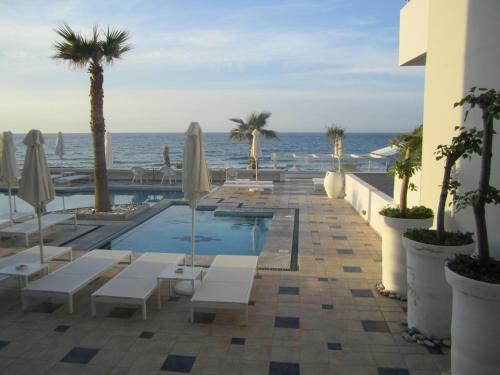 It offers a pool with poolside bar, seafront restaurant and a rooftop terrace with bar. WIFi is offered in public areas. 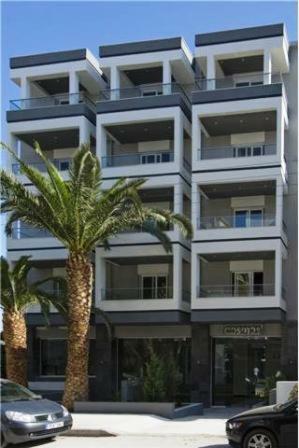 Situated in Platanias area, 3 km from Rethymno, Creta Residence is standing on the waterfront amongst lush palm trees. The property is 30 metres from a sandy beach. Kirki Village is a friendly hotel, located in the quiet village of Panormo, less than 200 metres from the beach and close to Rethymon. The hotel offers affordable accommodation in a warm, traditional, and family-friendly environment. Located in the town of Rethymno on the island of Crete. The family-owned Jason Apartments Hotel offers comfortable suites and apartments with balconies, some overlooking the Aegean Sea. Just 100 metres from the largest sandy beach in Crete, this Rethymnon hotel offers an outdoor pool with a poolside caf� and bar. The Atrium Hotel provides air-conditioned rooms with private balconies and satellite TV. Merely 200 meters from both the beach and the old town, Hotel Liberty in Rethymnon�s centre offers soundproofed rooms with anatomic beds, a pool and a large breakfast hall. With a privileged central position in the beautiful city of Rethymnon, this hotel is situated 300 metres from the beach with the entire city accessible in minutes via public transport. 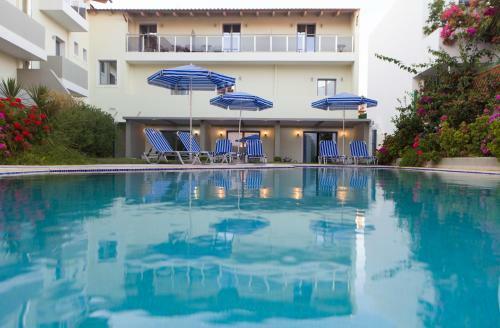 Close to Rethymnon�s Old Town, Hotel Ideon offers a pool with poolside snack bar and a garden. The reception is available 24 hours each day. The rooms of Hotel Ideon have a balcony overlooking the pool and the town. Hotel Fortezza offers a 24-hour reception and a free Wi-Fi throughout. 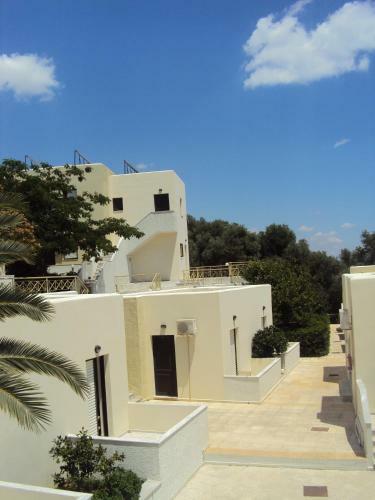 It is situated in the heart of Rethymnon�s old town, and 300 metres from the longest sandy beach. Private parking is available on site. Just 30 metres from the beach and a short walk from Rethymno's old town, Cosmos Hotel offers luxuriously appointed suites, close to the action. Each of the studios has been stylishly decorated and elegantly furnished. Offering an outdoor pool with furnished sun terrace, and a poolside bar, Thalassi Hotel is located in Stavromenos. 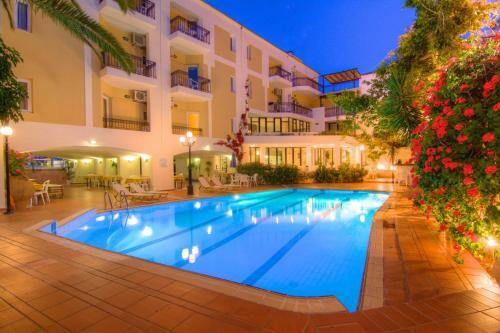 Bueno Hotel Apartments features 2 freshwater pools, each with a furnished sunbathing terrace. Surrounded by beautiful gardens, it is only 150 metres from the sandy beach of Platanes and 4 km from Rethymnon centre. 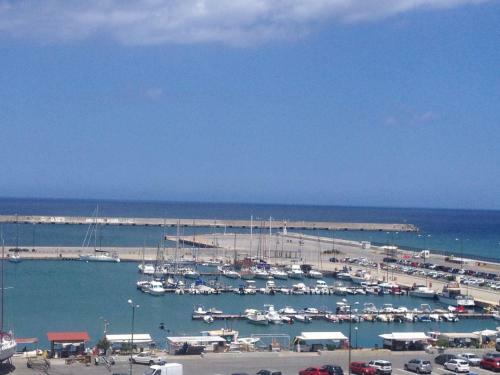 This modern 3-star unit is situated in the lively Platanias, 4 km east of Rethymnon. 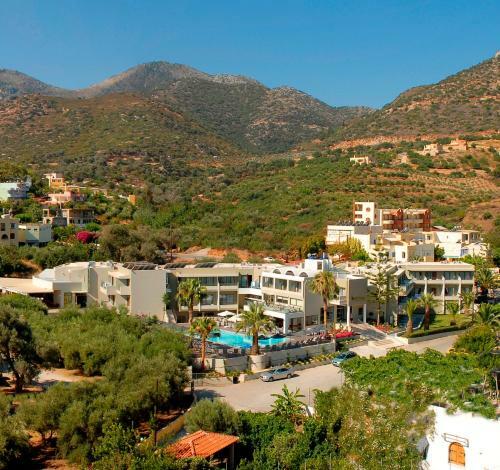 It offers spacious, self-catering studios and two-bedroom apartments only 300 metres from Platanias sandy beach. Just 20 metres from the sea, in the area of Panormos, Panormo Beach Hotel has a garden with swimming pool, an a la carte restaurant and 2 bars. It offers tastefully furnished accommodation with free Wi-Fi. Just 50 metres from Platanias beach, and 100 metres from the town's centre, Trefon Apartments offers spacious self-catering rooms with balconies. A swimming pool and a playground are available. Offering a pool and a lounge restaurant, the beachfront Petradi Beach Lounge Hotel is at Koubes Beach. It features elegantly decorated and self-catering accommodation with Cretan Sea, Rethymno Town or garden, road and Fortezza Castle views. 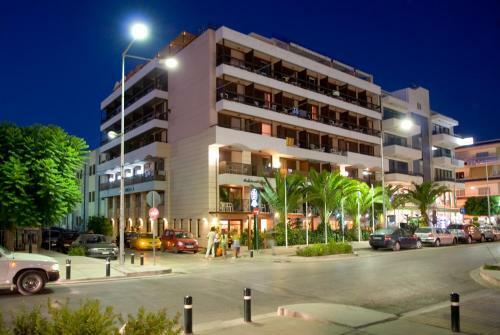 Hotel Poseidon is situated right across Rethymnon�s sandy beach. It offers a large patio with views of the sea, soundproofed rooms and free Wi-Fi. The Poseidon provides spacious, renovated rooms with private bathrooms. This intimate boutique hotel is located in Platanes village, 4 km from Rethymno and just 400 metres from the local Blue Flag beach. 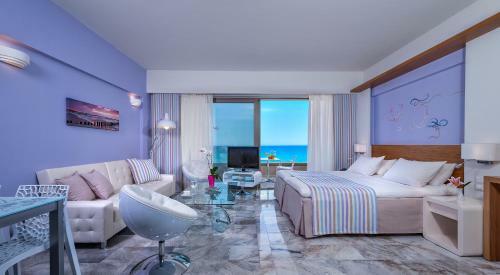 Located on a sandy beach in Rethymno, Theo Beach Hotel Apartments offers spacious studios with large balcony with views of the sea and an indoor swimming pool. Free Wi-Fi is available in all areas.